Address: Lot 10 Shopping Centre, Food Court, Lower Fround Floor, Jalan Bukit Bintang, 50250 Kuala Lumpur, Malaysia. I am back to Malaysia right now and I am looking for a job in Singapore. While I cannot always be in Singapore to search jobs, wait for interview’s calls and get offered because I did not hold a valid long term pass that allows me to stay longer, so I come back to Malaysia and continue the searching. Well, luck is not at my side yet as right now the people are still on the holidaying mood and for Chinese business, it is about year end closing before the arrival of the Roaster Chinese New Year in the late January. I am positively looking forward to get a new job and have a new start and leave the rest behind. For now, I am in Malaysia where all the great food are and I am back into action to write more food reviews. I am glad that recently I have met many friends who are willing to go out with me to keep trying new places, have good food together and spend the rest of the day talking nonsense! They are awesome people. In my recent revisiting Hutong Lot 10 at Bukit Bintang, Kuala Lumpur, I have a great moment shared with my friends from Bangkok, Thailand who came to Malaysia for holidays. They are my ex-colleagues from my previous company and I am glad that they rang me up for a catch up in the city. There are few food stalls I love to revisit and try their food again. Firstly, the Imbi Road Pork Noodle. I visited my “old friend” stall. It was after 2pm when I dropped by to buy my lunch for my aunt and myself. The boy is still remember me, ‘buy double set and take away!’ I took away the pork balls noodle with my favourite noodle selection, the meehoon mixes with kway teow. Then, the man behind the hot boiling pot prepared the noodle and pork balls for me. He is still remember me too! We chatted while he prepared the noodle with his hungry stomach (he told the boy to keep an eye on his bowl of noodle from being taken away by cleaner). It is wonderful to see some old friends. They are gold and great people who prepared me the hearty pork balls noodle. 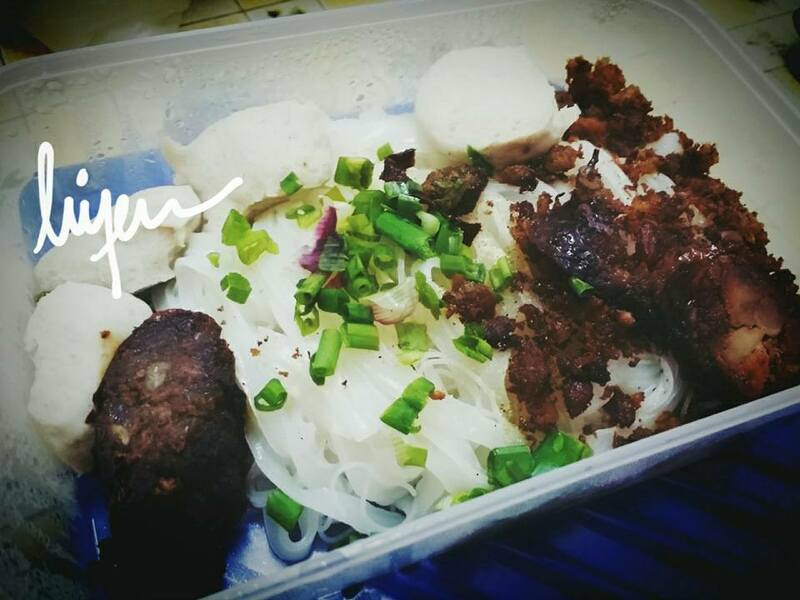 The quality and taste of the pork noodle is well maintained with great amount of noodle, minced pork and pork balls. It is filling and heavy meal. You can order soup or dry version. They use pork bone to prepare the soup broth. Secondly, I tried the fried noodle from the famous food stall named Kim Lian Kee. 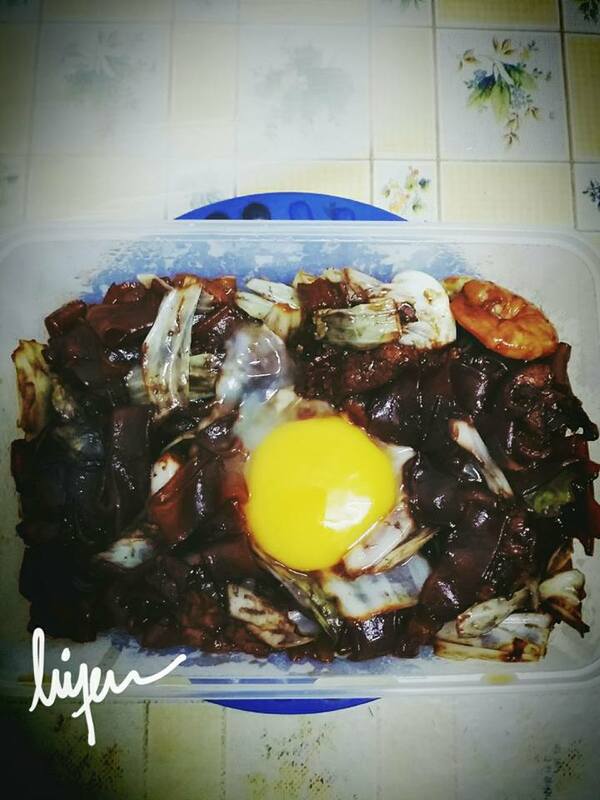 They are famous with their fried Hokkien noodle, the fried black, thick yellow noodle. However, during my takeaway I ordered the Moonlight Hor Fun. As you can see from the picture, you know how sinful this fried hor fun is. Hor fun is similar as kway teow. This fried noodle is a black and dry version of Cantonese fried noodle. The ingredients used by the cook are same as the Cantonese fried noodle but it did not come with heavy gravy. They cook with lards and its oil, and great wok hei. If I visit their stall again, i will have my video taken while they are busy cooking. Back to the taste, oh well, heavenly great, I cannot stop eating it. The only thing I do not like is oily but this is fried hor fun! The noodle can satisfy two stomachs of the day. Thirdly is from the Soong Kee Beef Noodle food stall. It is still one of the best noodle stalls inside this Hutong Lot 10 food court. Cheap and filing bowl of noodle comes with a spoonful of minced meat and some vegetable on top of the springy wanton noodle. I believe they make their own noodles daily and the cook is skillful enough to cook it until it is springy and not soaky at all. When I mixed the minced meat with the noodle, I saw extra oils at the bottom of the bowl. The cook spread a spoonful of oils on top of the noodle as soon as the noodle is ready to be served in each bowl. 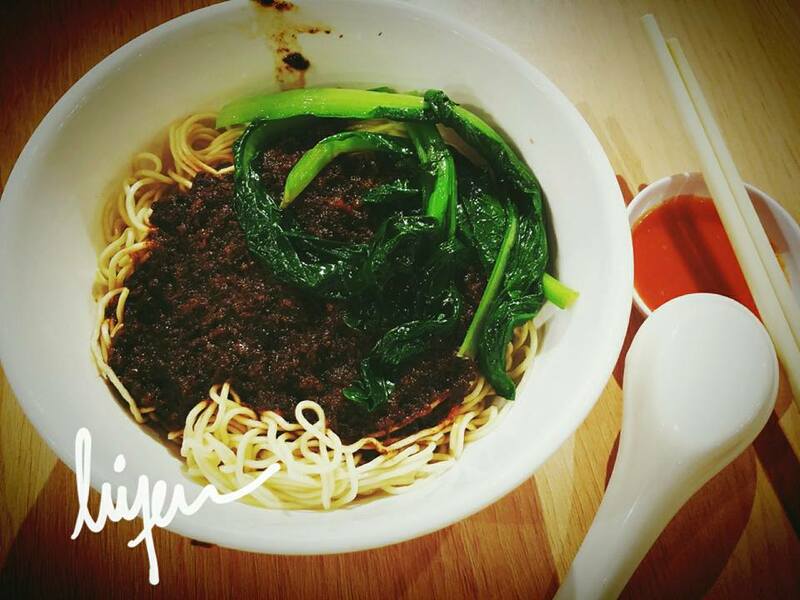 Do try their beef balls noodle too, it is their signature dish which goes well with their handmade chilies paste. While you are waiting in queue to get your bowl of noodle, you can watch ow the cook prepared the noodle, by adding few noodles together into the hot boiling pot, stirring it with the big chopsticks and large strainer for noodle. It is amazing ‘the making of…’. Hutong Lot 10 serves all the famous local foods in Malaysia. It is a great place to be if you want to try the local foods at one place. It is air-conditioned, clean and spacious. It might be slightly expensive to eat it here but you get a better and safe environment because they have many cleaners cleaning the tables and security guards who go rounds. I am sorry to my Muslim reader as this entry is about non-Halal food.